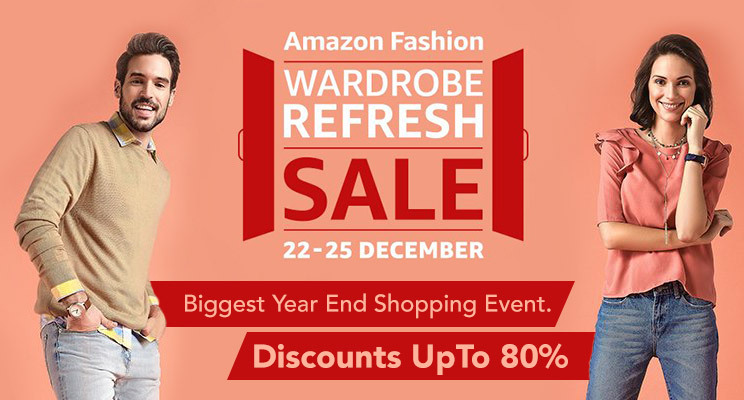 Amazon Fashion Wardrobe Refresh Sale is their ‘Biggest Fashion Sale Of The Year’. This is time to refresh your wardrobe without having to worry about toppling your financial plans. 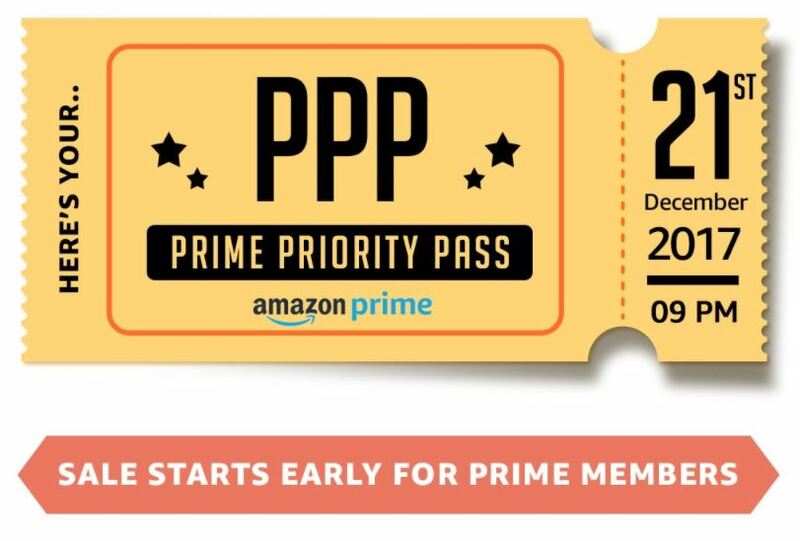 So, what to expect this sale season from Amazon, which will start on 22nd of December, 2017 and will go on until 25th December, 2017? What’s special about Amazon Fashion Wardrobe Refresh Sale? There are a few MEGA OFFERS this time on Amazon Fashion Wardrobe Refresh Sale. You can win Rs. 5000 worth of Amazon Pay Balance as you shop during the Happy Hours i.e. during 2 PM -5 PM. You can also avail the Rush Hour Deals with minimum discounts of 50% OFF i.e. during 8 AM-11 AM. When you shop at Amazon’s Fashion Wardrobe Refresh Sale during the wee hours of 22nd December i.e. during 12 AM to 3 AM and avail minimum 50% OFF with a 10% price drop! You’ll also get notified as soon as the sale starts. There are big discounts on top brands like 50% OFF on United Colors of Benetton, 50% OFF on Biba, 60% on Adidas and 70% OFF on Puma and much more. So, hurry up! So, start making a list of the products you would like to buy from today, because as they say if you fail to plan you’re planning to fail! And you seriously don’t want to miss out on this sale. 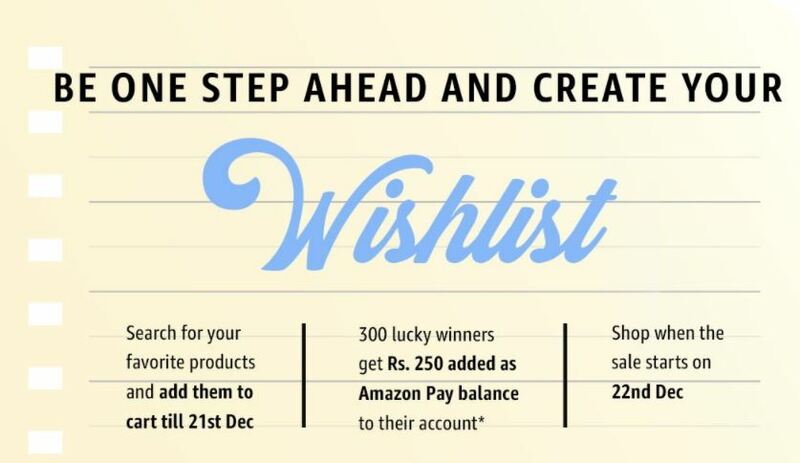 Create your wishlist by adding all your favorite products covered in the sale and if you’re lucky enough you can also win Rs 250 in your Amazon Pay wallet! Get upto 80% OFF on clothing and 90% OFF on Jewelry and much more! You can also share your wishlist with friends using #WardrobeRefreshSale on Twitter. Have fun shopping at the Amazon Fashion Wardrobe Refresh Sale.